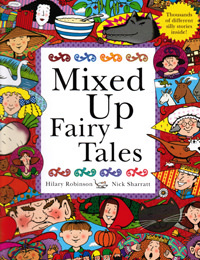 Rights for Mixed Up Fairy Tales have been sold to Greece, Denmark and China. We’re wondering what “Little Red Riding Hood climbed a beanstalk and dreamt of marrying a bowl of porridge” sounds like in Chinese! Just announced Mixed Up Fairy Tales sales tops 85,000! 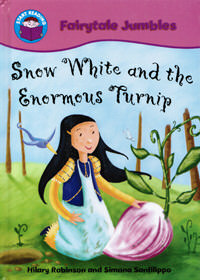 Hilary’s popular book Snow White and the Enormous Turnip has just been published as a Big Book! So now the enormous turnip is even more enormous and the turnip pie that was served at her wedding is pie-gantic! Big Books are loved by many for shared, guided or independent reading.